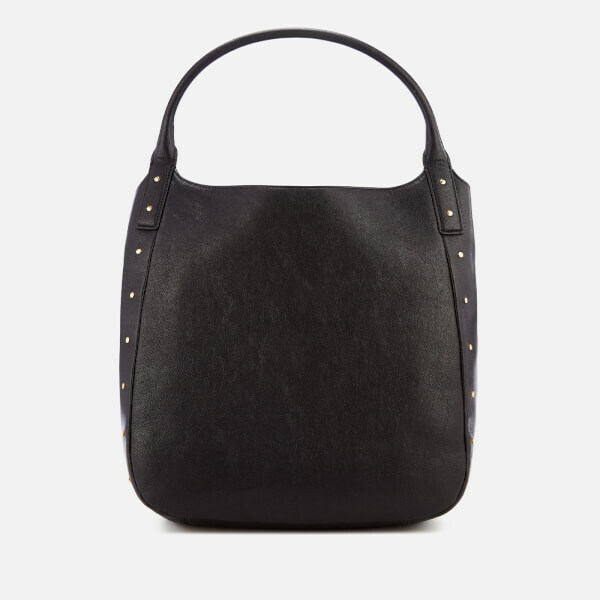 Black leather shopper bag from British designer Anya Hindmarch’s eponymous bag and accessories label. 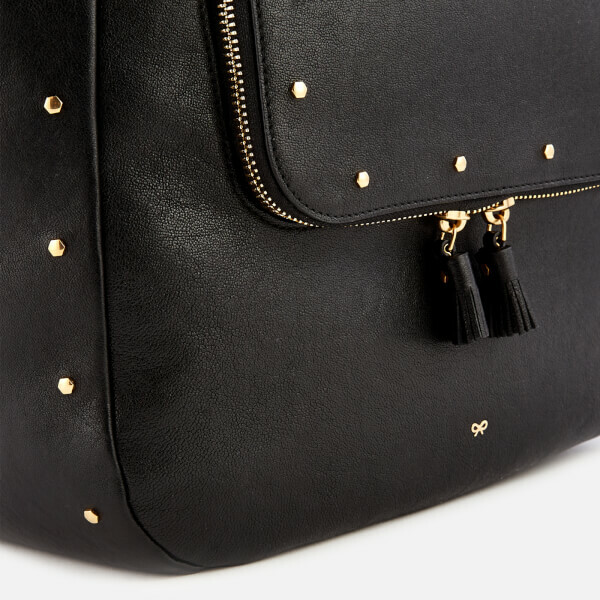 Crafted from smooth grainy leather embellished with gold-tone hexagonal metal studs, the ‘Stud Vere’ tote is designed with a pair of integrated rolled handles. 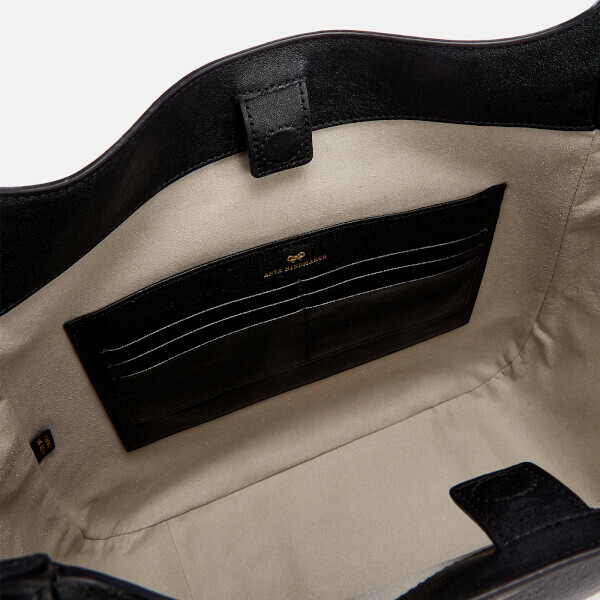 A magnetic tab secures the spacious suede-lined interior and built-in utility pockets. 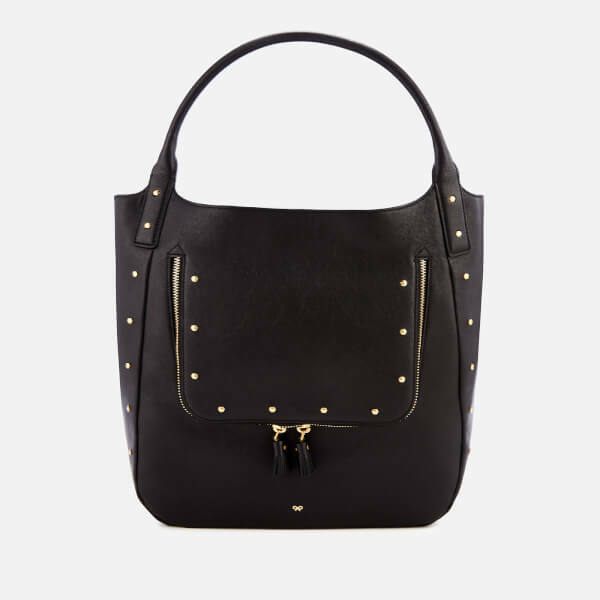 Inspired by the Anya’s legendary obsession with organisation, the bag features a front zip pocket that opens to a labelled section with a phone slip and multiple card slots. Tasselled zip pulls and a signature appliqué bow toward the front base add the finishing touches. Protective dust bag included. Dimensions: H: 31cm x W: 32cm x D: 12cm. Handle Drop: 18cm.